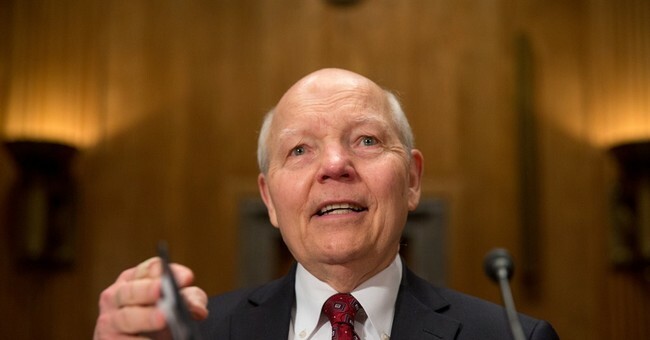 IRS Commissioner John Koskinen has been stonewalling Congress and the courts for more than a year over Lois Lerner's "missing" emails. He's also ignored court orders to produce documentation and now, U.S. District Court Judge Emmet Sullivan has had enough. On July 1 Sullivan ordered the IRS to turn over 1800 emails by releasing them in batches each week. The IRS didn't produce any emails until July 15, despite the court order. Those emails show Lerner worked with former IRS Commissioner Steven Miller to scrutinize conservative groups. The new documents show that Lerner and other top officials in the IRS, including soon-to-be Acting IRS Commissioner Steve Miller, closely monitored and approved the controversial handling of tax-exempt applications by Tea Party organizations. The documents also show that at least one group received an inquiry from the IRS in order to buy time and keep the organization from contacting Congress. Earlier this week, the House Oversight Committee sent a letter to President Obama demanding Koskinen be fired for obstruction of justice. Chairman Jason Chaffetz said if Koskinen isn't fired, the House may move to impeach him.